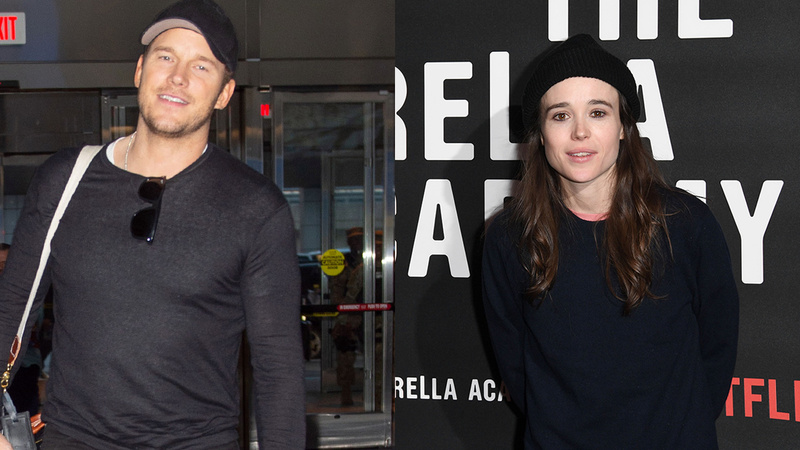 Actor Ellen Page amped up her criticism of celebrities who attend anti-LGBTQ churches on Saturday, after she sparked a headlines for calling out actor Chris Pratt because he attends Hillsong Church, Variety Magazine reported. “If you are a famous actor and you belong to an organization that hates a certain group of people, don't be surprised if someone simply wonders why it's not addressed," she wrote on Twitter. “Being anti LGBTQ is wrong, there aren't two sides. The damage it causes it severe. Full stop. Sending love to all." Page's criticism came Thursday after Pratt appeared on “The Late Show With Stephen Colbert," and discussed his Christian faith. Pratt told the talk show host that he just completed a 21-day Daniel Fast that his pastor recommended. He also related that the pastor gave him some advice for balancing fame and his faith. Pratt told Colbert: "If the spotlight that is shining on you is brighter than the light that's within you, it will kill you." After his appearance, Page criticized Pratt for attending what she called an “infamously anti-LGBTQ" church. The “Guardians of the Galaxy" star appeared on the show to promote “The Lego Movie 2: The Second Part." Page tweeted: “Oh. K. Um. But his church is infamously anti lgbtq so maybe address that too?" Pratt attends the Hillsong Church, a megachurch that started in Australia but also has campuses in New York City and Los Angeles. Other famous Hillsong attendees included Kendall and Kylie Jenner and Justin Bieber, Variety reported. In 2015, Hillsong's New York pastor, Carl Lentz, was criticized for calling homosexuality a sin. Also that year, two male choir members of the church got married and Hillsong's global senior pastor, Brian Houston, issued a statement against them on the church's website. "If you are in a position of power and you hate people, and you want to cause suffering to them — you go through the trouble, you spend your career trying to cause suffering. What do you think is going to happen?" Page said. "Kids are going to be abused, and they're going to kill themselves. And people are going to be beaten on the street. I have traveled the world and I have met the most marginalized people you can meet. I am lucky to have this time and this privilege to say this. This needs to f***ing stop." Page starred as Kitty Pryde in the “X-Men" films and was nominated for an Academy Award in 2007 for her role in “Juno." In 2014 Page announced that she's gay, according to Variety. Since then, she has advocated for LGBTQ rights and “co-hosted the 2016 Viceland documentary series “Gaycation" about LGBTQ cultures around the world," the magazine reported.